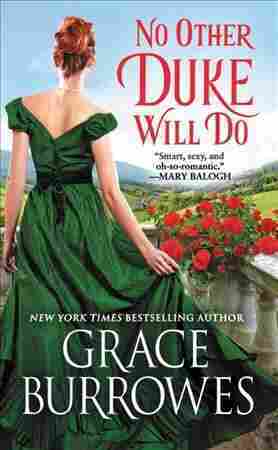 No Other Duke Will Do NPR coverage of No Other Duke Will Do by Grace Burrowes. News, author interviews, critics' picks and more. In desperate need of a wealthy bride so he can save his family's estate, the Duke of Haverford is instead drawn to marriage-averse Miss Elizabeth Windham, an intelligent beauty whom he connects with until gossip, meddling siblings and financial disaster threaten to derail their love.